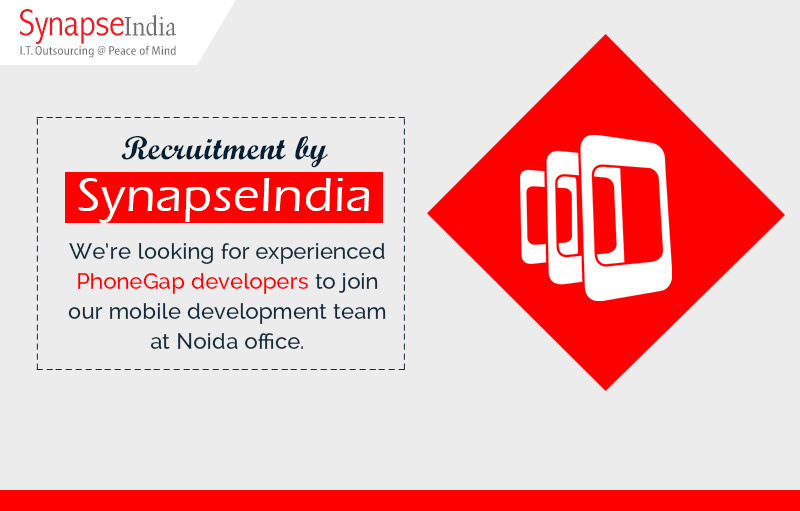 SynapseIndia recruitment team is hunting for talented PhoneGap professionals to join our team of mobile application developers. The story of today's premier IT solutions provider company began years back in 2000. Today, SynapseIndia has grown to a strong team of around 500 professionals having expertise in different technologies & platforms. In recent years, PhoneGap has emerged as one of the most preferred technology platforms to develop mobile apps that are compatible to different mobile apps versions & platforms. We are looking for PhoneGap developers to join our remarkable journey. Current openings are for candidates with past work experience in developing innovative mobile applications using prevalent PhoneGap platform. For more information, kindly get in touch with SynapseIndia recruitment team.